One of Swedish crime writer Camilla Läckberg’s favorite dishes is risotto, and this dish has become one of our favorites too. 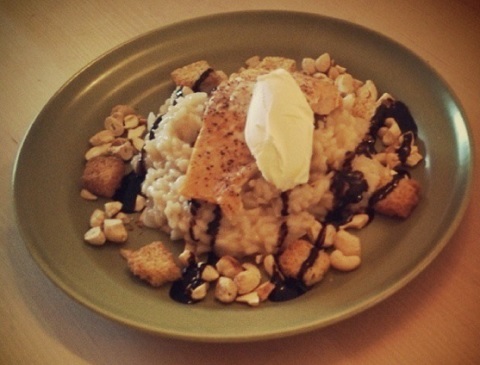 Risotto, salmon, balsamic glaze, mascarpone, cashew nuts, and croutons. Yum! Pictures and instructions (in Swedish from 2013) can be found on Martin Melin’s blog (Camilla Läckberg’s ex-husband).